Have you seen this new #LIGHTtheWORLD video? I love it!! It encourages us to serve as Christ served for the 25 days until Christmas. It parallels the great acts of love and service Jesus performed with small acts of service we can give to those around us. I can't wait to introduce this to my kids and the Cub Scouts that I work with. Daily service will truly bring the Spirit of Christ into the season. 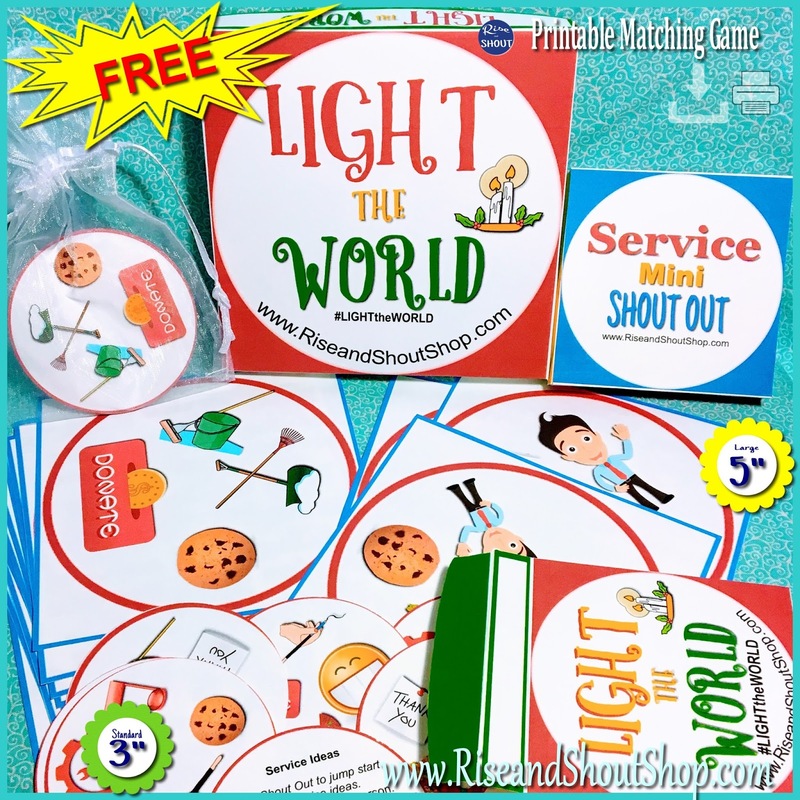 In order to help my kids, Cub Scouts and myself, I created a couple things: Service Shout Out which illustrates 11 different ways to offer service and "LIGHT the WORLD" gift boxes, to add small gifts, trinkets or candies. Each of these are FREE. I hope that you can use them in your homes, classrooms and churches too. Wouldn't it be amazing if this year we truly light the world by bringing hope and light to one person at a time with our service? 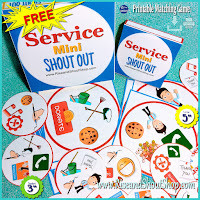 Service Shout Out can be played normally by racing to find your match and shouting out as you find it. But it can also be used to prompt service ideas. Choose a card and do one of the four illustrations today. (example: yardwork, cleaning, bake and give cookies or raise and donate money). OR Choose two cards, find the one match between them and make that your focus of service today. 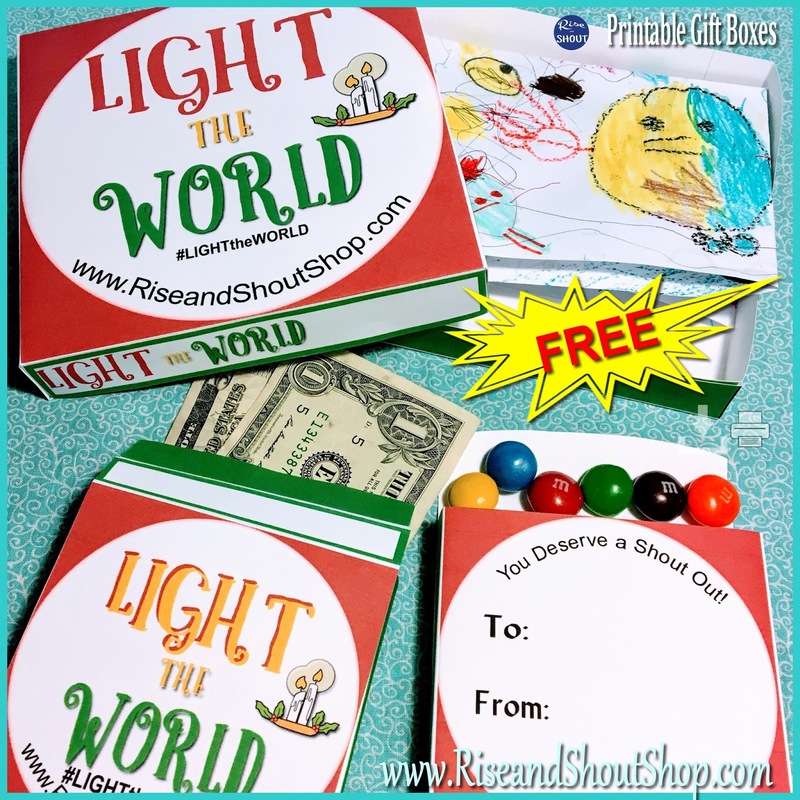 LIGHT the WORLD printable Gift Boxes are perfect for gifting small candies, stickers, trinkets, pictures or more this month. 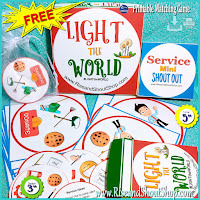 You can also place the Service Shout Out cards in the Light the World boxes to tie service and this initiative together. DOWNLOAD all games and boxes from my FREEBIES page. Please Pin and share these downloads with others! 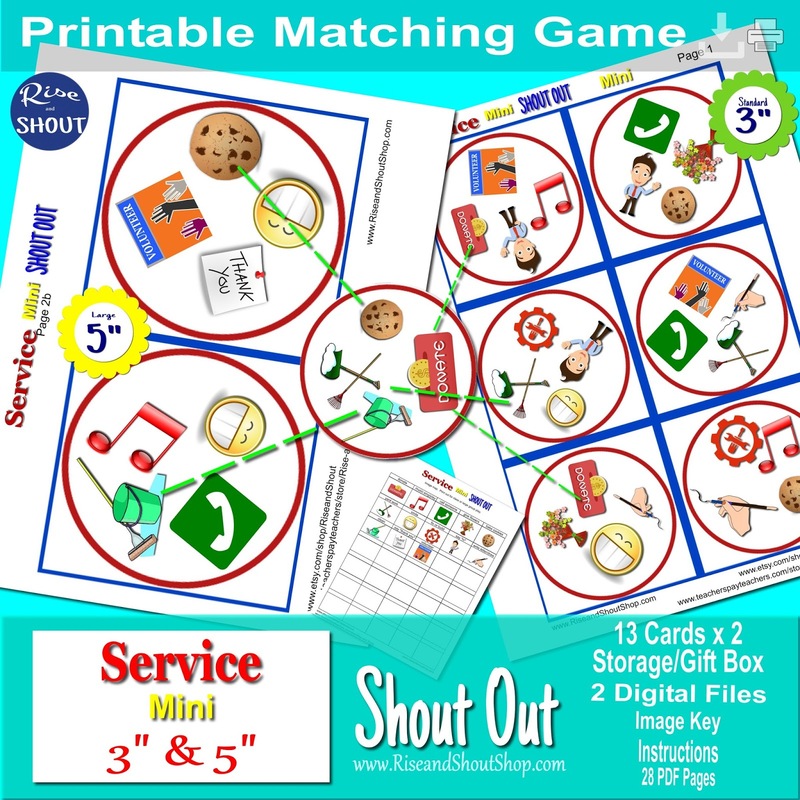 For more Shout Out Games, visit Rise and Shout on Etsy or Teachers Pay Teachers. 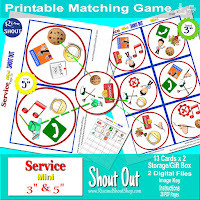 Shout Out games come in 40+ themes including holidays (Christmas, Nativity), learning (abc's, numbers), bilingual practice (medical, shapes & colors), religious (LDS, Symbols of Christ) and more. 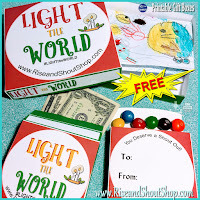 The Red Headed Hostess has a collection of ideas and printables from many different bloggers to help with #LIGHTtheWORLD. 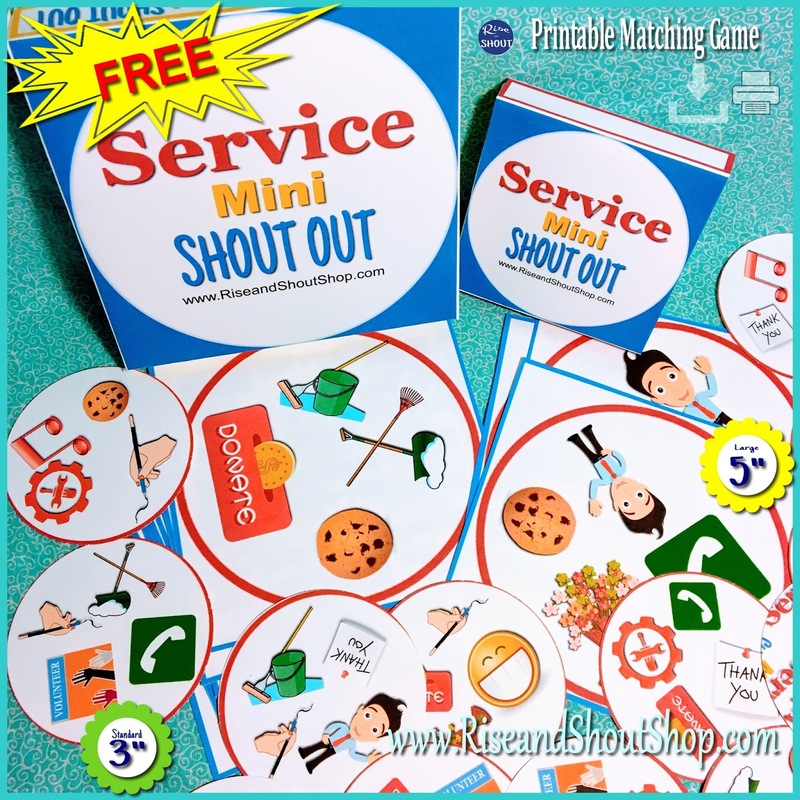 Thank you for spotlighting Service Shout Out. The thoughts and opinions expressed here, are my own. Mormon.org or LDS.org have not endorsed my thoughts, blog or products.